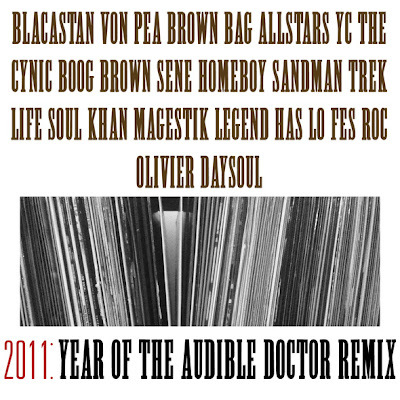 Recently became aware of a ridiculously talented producer from Madison, Wisconsin called The Audible Doctor from a crew called The Brown Bag AllStars. Just before the new year, he put out this great project that showcases some of his incredible production. The first half of the tracks are instrumentals, the rest are remixes of songs. Safe to say that all of them are DOPE. Take this is in, and buy the 20 track compilation for just $7 if you're feeling it!